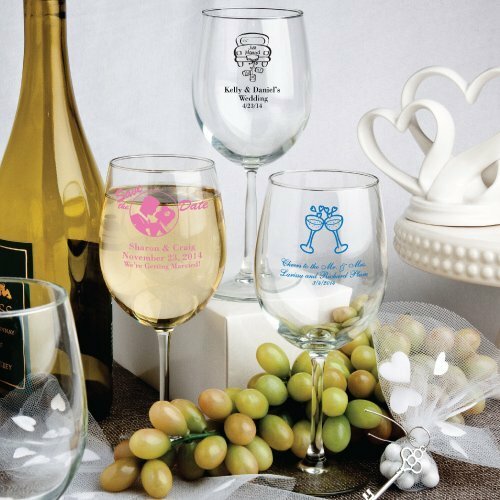 SHARE A stylish addition to any event, these 12 oz wine glass party favors are available in over 50 designs and numerous ink colors (both of which you can specify at checkout). To customize them for the event, we also personalize the glasses with a line of text such as names and a date. Give them to party guests as favors and they'll think of your special day each time they use them.